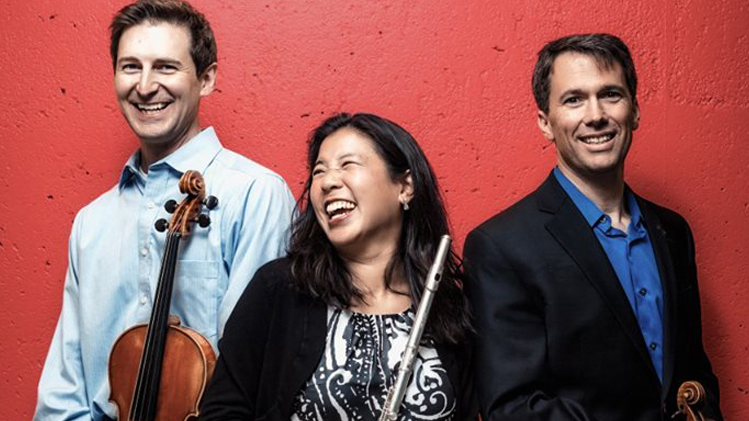 Featuring musicians from the Colorado Symphony and friends, Denver’s Ivy Street Ensemble specializes in music small in scale, but generous in musical delights. Beethoven composed a Serenade for flute, violin, and viola, providing inspiration for later composers, such as Ferde Grofé of Grand Canyon Suite fame. Even before their flute-and-strings works, Mozart had done it, though he added a cello, too, and was so satisfied that he wrote a total of four such flute quartets. This elegant and enjoyable program includes chamber music by those three beloved masters, as well as Argentine star Alberto Ginastera’s Impressiones de la Puna and a recent work by American composer Maria Newman. Betsy Schwarm narrates the evening with stories and further background of the music. Buying three or more shows in our 2018-2019 season? Save up to 15% with a Design Your Own package!